Carved into the side of a mountain sit three grimacing skulls. Personified only by their oddly animated expressions. 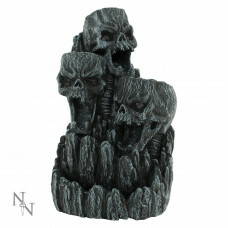 The incense can be placed into the back of the top skulls head and allows the smoke to cascade down from their mouths.